Warren Elsey. 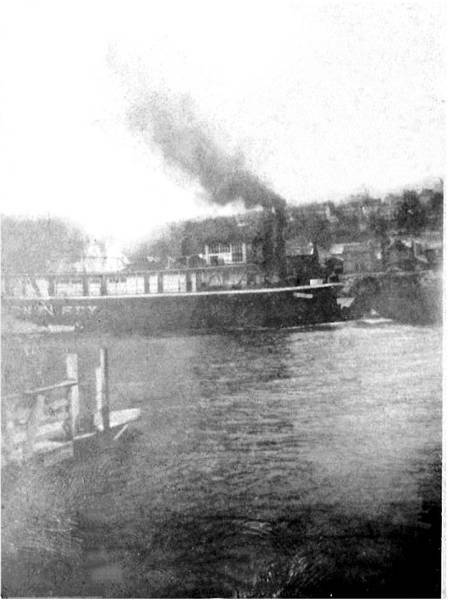 On the right, you can see Fayette City and the front of the Allenport/Fayette City Ferry. 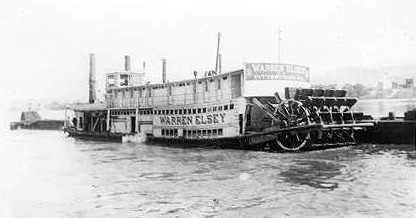 The tugboat, "Warren Elsey," was built in 1919 for the Vesta Coal Company at the Dravo marine ways in the back channel of Neville Island near Pittsburgh. W. P. Snyder Jr., also known as W. H. Clingerman, W. P. Snyder Jr. State Memorial, or J. L. Perry, is a US National Historic Landmark. 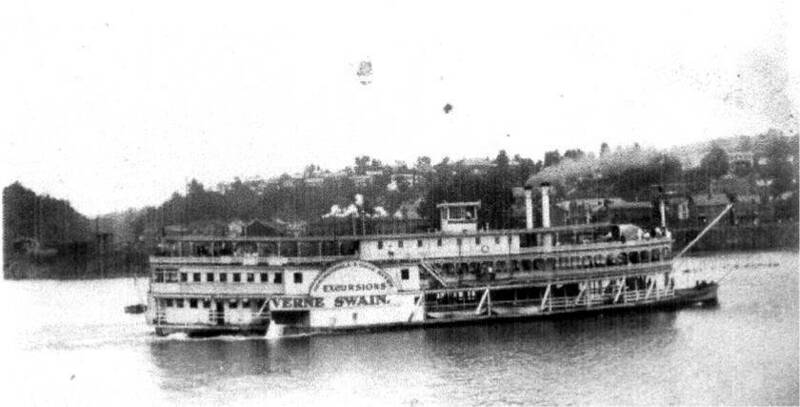 W. P. Snyder Jr. is a sternwheel, steam driven, towboat that was originally built as the Carnegie Steel Company towboat W. H. Clingerman in 1918 by Rees & Sons Company of Pittsburgh, Pennsylvania. In 1938, she was renamed J. L. Perry, and in 1945 A-1. In August 1945, she was sold to Crucible Steel Company of Pittsburgh, and renamed the W. P. Snyder Jr. in September 1945. 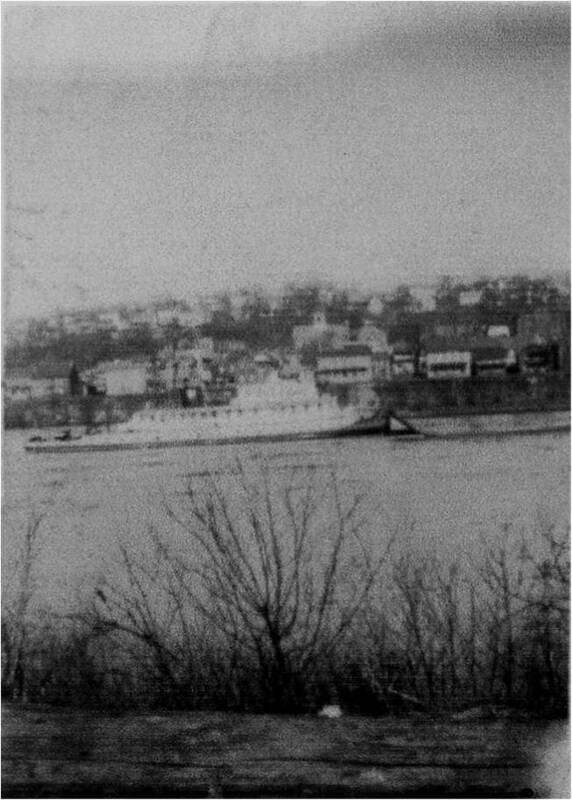 She was a sister vessel of W. H. Colvin Jr., and she towed coal on the Monongahela River until being laid up on 23 September 1953, at Crucible, Pennsylvania. 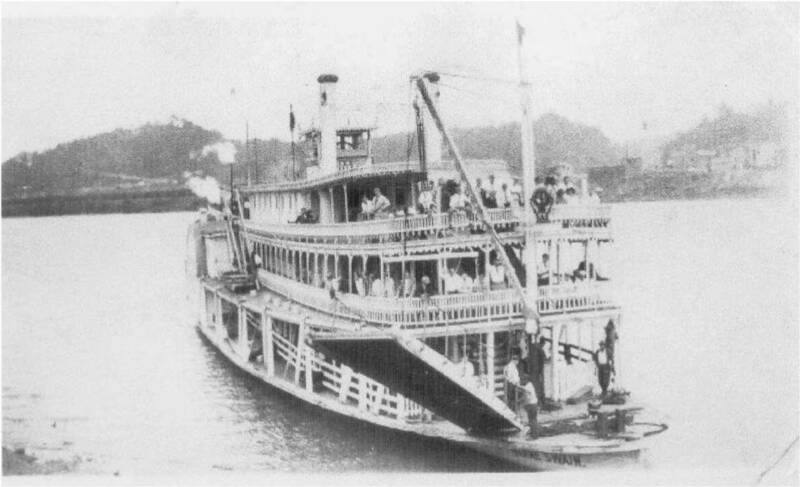 In the summer of 1955, the boat was given to the Ohio Historical Society for exhibit at the Ohio River Museum in Marietta, Ohio. 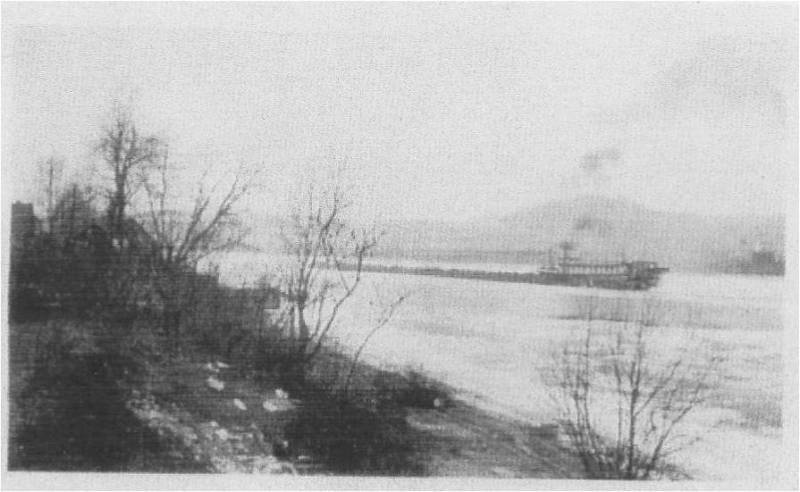 W. P. Snyder Jr. was the last steamboat locking through Lock 1, on the Muskingum River, before that lock was removed. 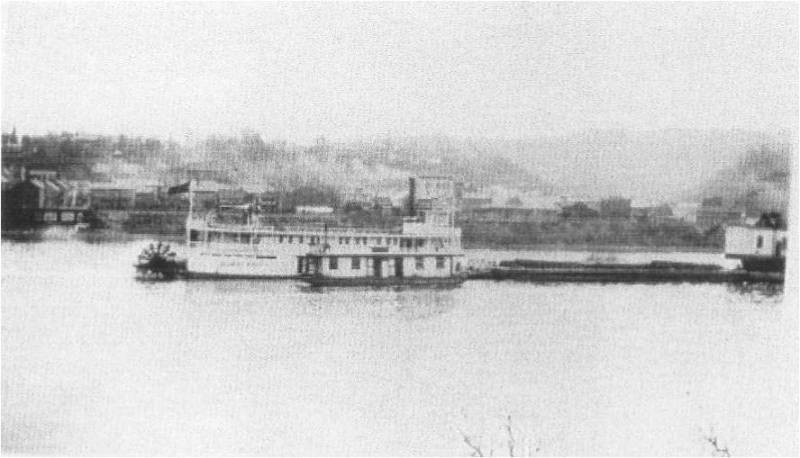 She arrived in Marietta, Ohio, with Captain Fred Way Jr. as master on 16 September 1955. J&L Steel ship "Titan" passing Allenport/Fayette City Pa. Film is from the late 60's taken on the Allenport Ferry landing.